In our therapy work we are guided by interpretive hunches, gut feelings, images and bodily impulses. We sense our clients using all five senses, together with various other embodied, intuitive senses. Elusive and unseen, the flows of energy that constitute these sensings lurk mysteriously in the Between, bypassing logic and reason. Such ‘receivings’ are the foundation of our clinical intuition and act as creative touchstones for inspirational transformation. What exactly happens in those moments when we find ourselves able to intuit, imagine and interpret our client’s experience? What is it that we sense and how do we make sense of it? How do we enable our clients to become more aware of their sensings so they can make sense of it all? Animated by such questions, this chapter focuses on our work with imaginal possibilities towards intrapsychic healing. Guided imagery/fantasy refers to a wide range of techniques, e.g. positive visualisations, fantasy exploration, rituals and imaginative story-telling. There is a long history of the therapeutic use of imagery (think traditional shamanic healing) that has found its way into gestalt, Jungian psychoanalysis and CBT therapies. A persuasive evidence-base demonstrates the valuable role of imagery to change people’s perception, to elaborate understandings, and to provide new narratives towards healing, resolution and integration. The metaphors, symbols and narratives produced in fantasy give us imaginary variations of the world, allowing us to see the world and its possibilities in new ways. Herein lies the transformational potential of fantasy-orientated practice. Guided imagery techniques are often used within ‘mindfulness-based therapy’ to work with anxiety, trauma and in the healthcare/pain management fields. In particular, they are used in ‘cognitive restructuring’ programmes. Here, symbolic images can be used creatively. To give an example, consider the relaxation exercise of inviting a client to imagine lying on a golden beach being warmed by the sun, listening to gentle waves. Also guided imagery can be used as part of graded exposure programmes in the treatment of phobias. The techniques might equally be employed in a quasi-hypnotic way whereby processes out of our immediate conscious awareness are invited into present experience. In gestalt therapy, for example, guided fantasies or visualisations are used to bring bodily/affective experience into the here-and-now. Clients might be asked to close their eyes (if they’re okay about doing so) and – with the therapist’s help – are guided to imagine a scene from the past (or fantasy-past) or future (or fantasy-future). Language is suffused with metaphor (Lakoff & Johnson, 1980), a figurative linguistic device which carries the speaker/listener into a common universe of shared meanings where body, emotion, thought and culture merge. For example, the phrase “Mary is all heart” uses a metaphor to express the depth of Mary’s emotional capacity for compassion. The image of the beating human organ here provides a substitute for a literal statement such as “Mary is emotional”, or “Mary has a lot of compassion”. It offers a different, richer, more evocative understanding of both Mary and her emotions. There is a long tradition of engaging metaphor in therapy (see Finlay, 2015, forthcoming). Not only are metaphors used by clients and therapists in passing, they can be mutually co-created and elaborated over time. Metaphoric statements can represent images or symbols which can be used to clarify or interpret experience. Ogden (1997), using numerous psychoanalytic illustrations, notes how his interventions frequently take the form of working with, and then playfully and in a non-literal way stretching and elaborating the metaphors which analyst or analysand have introduced. He recalls once describing a patient’s challenging marriage as an aircraft that had “never having taken off”, as opposed to one that had crashed. The patient then used the metaphor as a means to elaborate, saying “It felt like I was just a passenger”. This new metaphorical imagery of sitting passively on a plane became the analytic object upon which analyst and client then focused. Gendlin (1981) (a phenomenological philosopher and psychotherapist) writes about body’s innate wisdom. He recommends tapping into our bodily meanings – felt sense – through a special technique he calls Focusing. Focusing involves listening to intuitive gut feelings (the client’s or our own). For example, we might ask a client to be explicit about their bodily experience with questions like, “How is what you are talking about making you feel in your body?” or “If it could speak, what might that that body sensation be saying?” We would then ask ourselves the same questions, as part of trying to attune to our client’s bodily sense. With Focusing – either as client or therapist – we become aware of different ‘parts’ of our Self (for example, the part that feels fuzzy and the part that feels shame) and tuning into the felt sense that enables us to be aware of our layered subjectivity. That felt-sense part of me is ‘there’ while ‘I’ am ‘here’. Understanding in this way allows us to ‘turn down the volume’ choicefully on those unhelpful or emotionally challenging parts of ourselves. By not disowning them we can begin to incorporate vulnerable into ourselves as a whole. More than technique Focusing is a gentle, compassionate, respectful way of being which helps us to pay attention to our bodily gestures/experiencing at the boundary of our consciousness. The aim of dream work is to reflect on the meanings and possible symbolism of the dream towards understanding current experiencing. With the use of images, metaphor, felt sense and dream work, reality and fantasy merge; imagination takes us beyond our habitual understandings and way of being. Entering this imaginal, transpersonal realm, we find ourselves in the energetic space between therapist and client, between consciousness and unconsciousness. Our intuition, imagination and interpretation are then the tools which help us make sense of ambiguous, emergent meanings. Relational therapists like de Young (2003) argue against traditional psychoanalytic preoccupations with inner symbolic worlds however; rather than seeing the dream solely in terms of symbols which are interpreted by the analyst, they encourage clients to work with everyday relational experience in the world. Similarly, Spinelli (2007), taking an existential-relational view, regards dreamwork in therapy as co-operative inquiry. He advocates taking a non-interpretive descriptive approach when working with dreams, seeing this as part of playfully engaging the relationship between the ‘dream world’ and the ‘waking world’. As relational therapists, we might also be mindful of the possible significance of a dream in terms of reflecting dimensions of the therapeutic work. Therapy then offers a space to explore what may be happening in the relationship. If a client is dreaming about unsafe spaces, for instance, might this say something about the experienced trust and safety of the therapy space? Or if the client dreams of a threatening figure following a challenging session, might that figure represent the therapist and express the client’s anxieties? Working in an intuitive, interpretative, imaginal realm involves using fantasy, metaphor, felt-sense and dreamwork. I am filled with awe and wonder as I reflect on the mysterious – almost magical – moments we sometimes experience as part of the therapy process. Embracing the imaginal realm, I am moved by the subtlety and depth of what can be found in the between of relationships, and humbled by the potential for creative transformation. It the space between it is often hard to disentangle what belongs to oneself, what to the other. But working at relational depth, there is often wisdom and unexpected riches to be found if we let ourselves go into the relational process and trust it. It means embracing the uncanny and inexplicable and allowing those bodily experiences, images, gut feelings, symbols, reverie and intuitions that characterise metaphorical sensibility to emerge in unexpected ways. It involves putting one’s shame aside as we choose to share any emergent embodied sensings, images and intuitions, however weird, improbable or uncertain. I recommend checking out the numerous videos from the Boulder Psychotherapy Institute showing extended episodes of gestalt-orientated dreamwork. 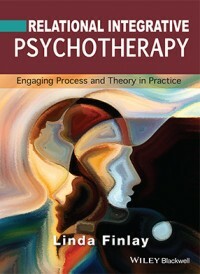 Betty Cannon (2012) promotes their way of working, Applied Existential Psychotherapy (AEP), which she describes as an ‘Experiential Psychodynamic Gestalt Approach’ – see: http://boulderpsych.com/videolib.php. 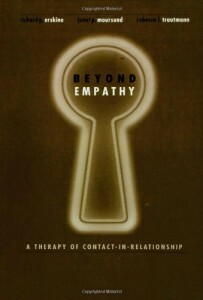 Erskine et al’s (1999) Beyond empathy book offers many examples of imaginative fantasy and intuitive work. I highly recommend dwelling with the various dialogues. [For a selection of relevant published articles, also check out, Erskine (2015) Relational patterns, therapeutic presence: Concepts and practice of integrative psychotherapy. London: Karnac]. 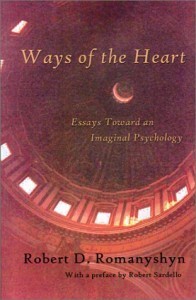 I also recommend Robert Romanyshyn’s (a Jungian phenomenologist) publications on the imaginal, metaphorical work with Soul including: Ways of the Heart: Essays Toward an Imaginal Psychology; and The Soul in Grief: Love, Death, and Transformation.